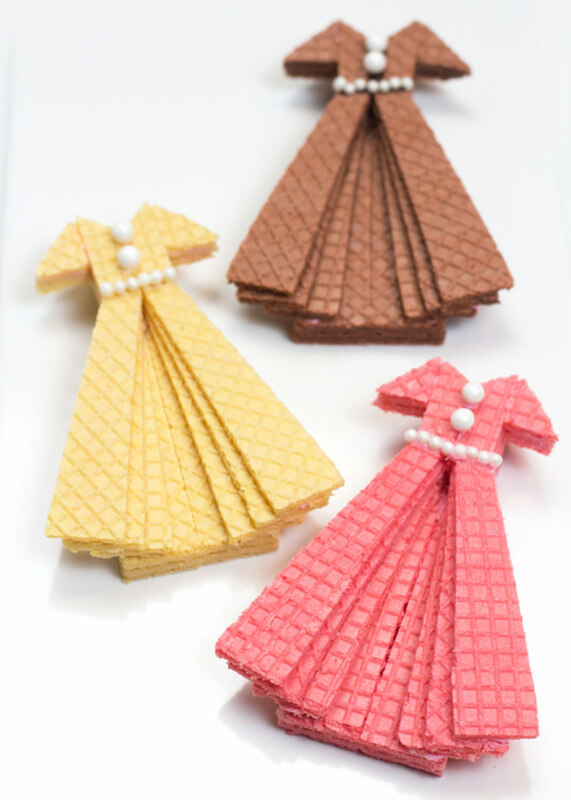 How about a clever cookie that combines food, fashion, and fun? 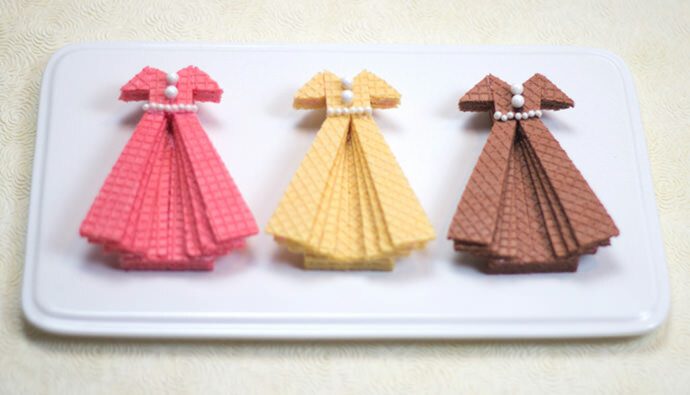 These sweet treats are just simple, store-bought sugar wafer cookies that have been artfully arranged to look like dresses! 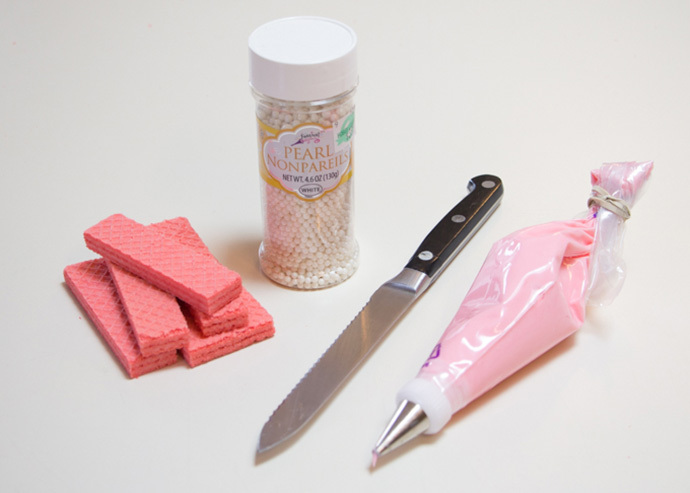 Play seamstress in your own kitchen and see what kind of styles you can serve up! 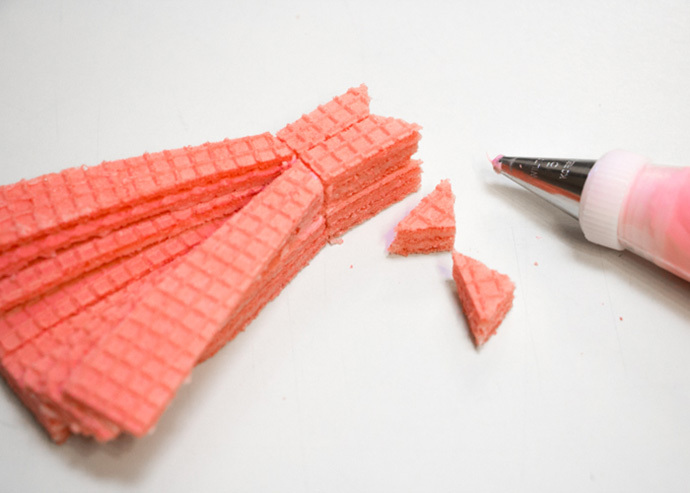 Frost the edges of two sugar wafer cookies together. 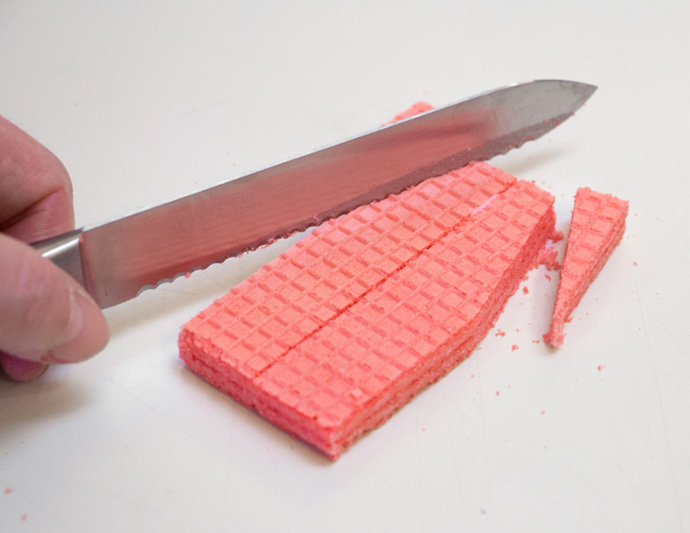 Cut long angled slices from the left and right sides of three more sugar wafer cookies. 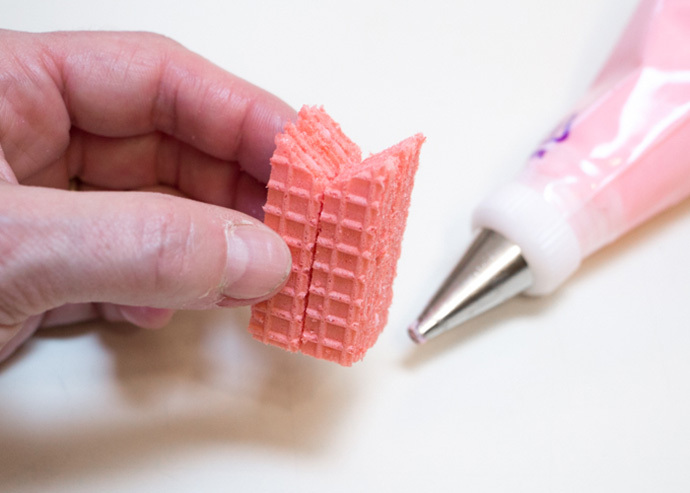 Gently split the cookie layers apart, keeping the top and bottom layers. You should end up with six total. 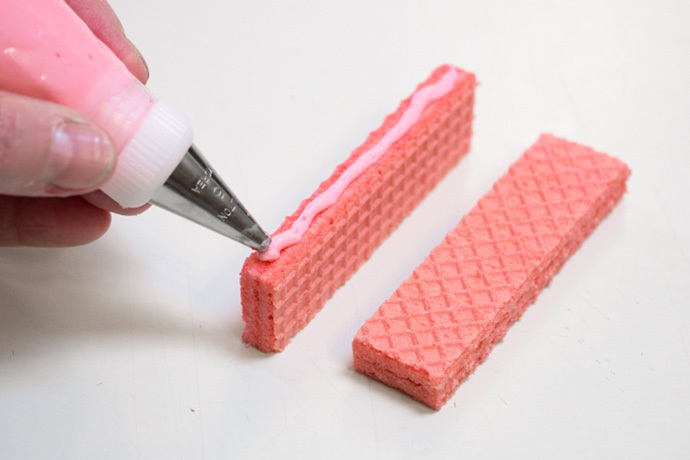 Pipe frosting along the sides of the first joined cookie wafers, then attach two of the thinner cookie layers. 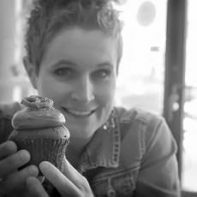 Repeat this step with the remaining thin cookie layers, adding frosting in between each one and fanning them out slightly. 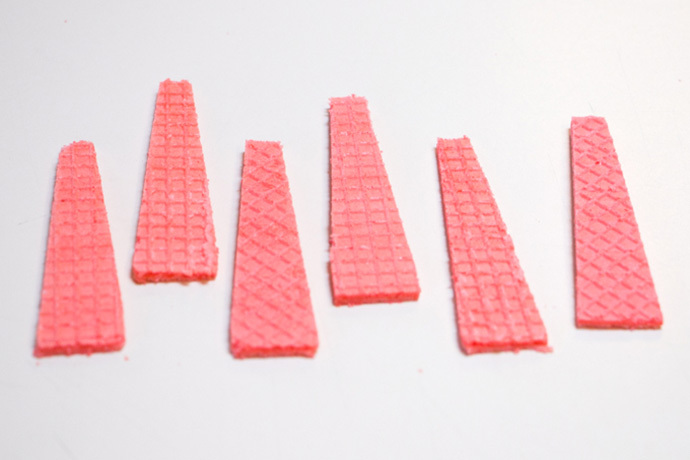 To make the top of the dress, cut one cookie wafer into four long rectangles, angling the tops. 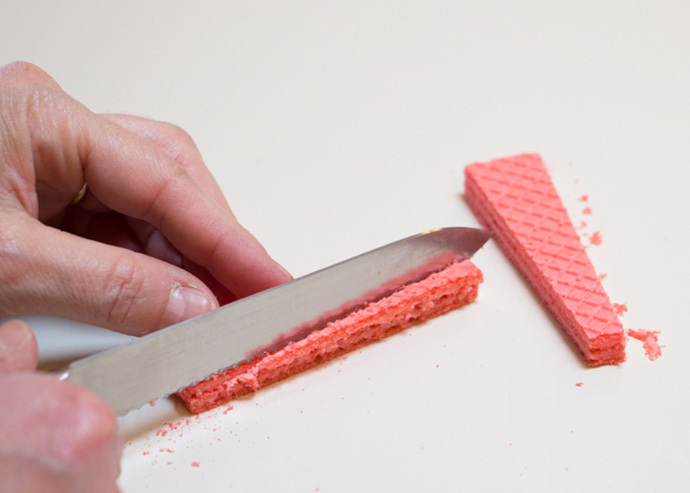 Sandwich them together with layers of frosting, making sure that the angled edges form a V for the neck of the dress. 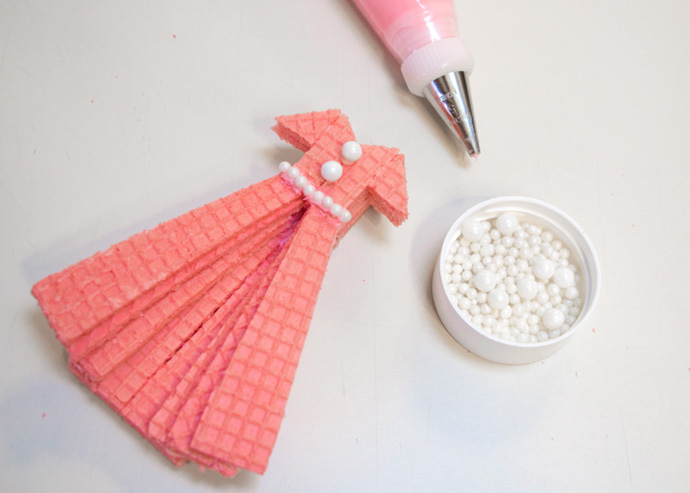 Attach the top of the dress to the cookie skirt with more frosting. 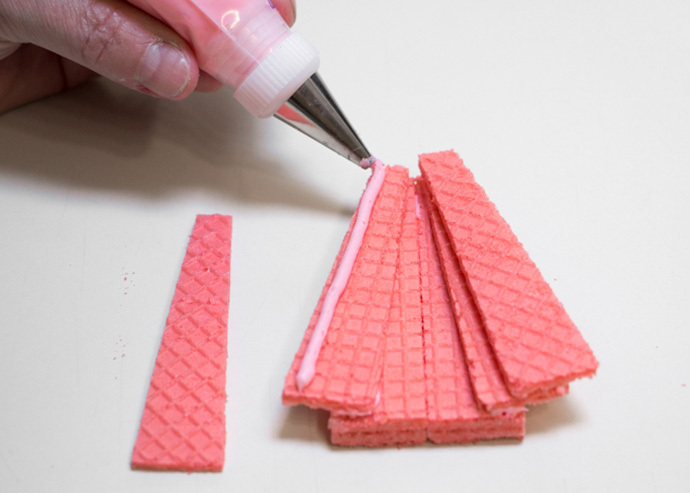 Then cut two triangles for the sleeves and attach them to the top sides with frosting. 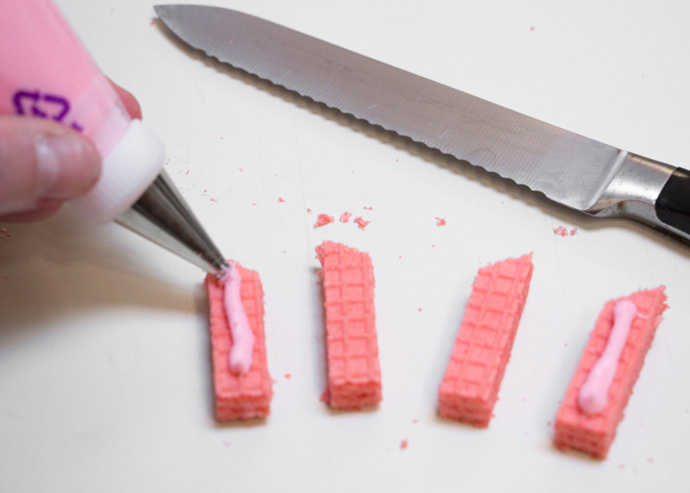 Pipe a line of frosting along the waist and add small pearl decorator candies. 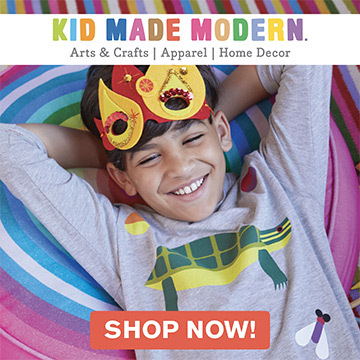 Add two larger ones for buttons on the top. Cookies will keep at room temperature for 24 hours or they can be stored in a refrigerator for about a week. Thanks Gina! I enjoy making clever cookies. These would definitely fit into the 40’s and 50’s dress styles. Fun. Fun. Fun.